It’s exciting to start learning how to play a new instrument. You get to pick and buy an instrument, meet an instructor and start to learn the basics. But after the initial enthusiasm, you quickly realize that learning an instrument requires practice. Sometimes practicing is enjoyable, but it can be hard to know where to start. Take a look at some easy tips to begin. Before sitting down to focus on a specific song, make sure you are fully prepared to do so. Find a Good Practicing Spot. Generally, it’s good to look for a place where you won’t be interrupted and where you won’t disturb others. Look for a room in your house that is relatively quiet to borrow for a few minutes. Make a Plan. Go into your practice time with a thought-out plan. Write down how long you will practice and what you will practice. Set an alarm to keep track of time. Without a plan, it’s easy to be less productive. Listen to It. If you have a couple of main songs you are focusing on, listen to them before hand. This can help you recognize how it should sound before jumping into it. Warm Up. Give yourself a couple of minutes before the full practice to play around on your instrument. Do some scales or basic arrangements to prepare. Now that you’re warmed up, you’re ready to go! Follow these tips to get the most out of your practice time. Remember the Goal. As you begin to practice, remind yourself of the overall goal: progress. You won’t get it right every time, but you will get better as time goes on! Start Slowly. Even though you are excited, take your time to learn each section of a song well. The longer you practice, the faster you will get the hang of it. Keep Track of Mistakes. Learning a new song will come with many obstacles. It’s important to note any mistakes you make so that you can go back and fix them. 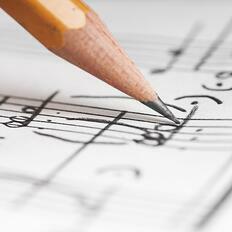 If you have sheet music, try circling the notes or chords that give you trouble. Try to power through mistakes and play the entire song to the end, then go back and practice where you messed up. Practice Multiple Times. Even if you play a song through correctly, it’s always good to go ahead and play it a few times more for good measure. Take Breaks. If you are practicing for an extended period of time, take a few 5 minute breaks in between sessions to stay focused. Try doing something active on your breaks. Remember to practice a little bit each day to stay on top of it. Younger children should practice around 10-20 minutes a day, and older children can practice for at least 45-60 minutes. Reward Yourself. If you’ve spent a good amount of time practicing and have achieved a goal, give yourself some credit! Do something small and fun. Keep a calendar on your wall to check off each day once you’ve practiced. Choose Timing Carefully. Some people feel the most productive in the mornings, others at night. Find out what time of the day you can get a lot done and try to practice your music then. Work smarter, not harder! Make Instruments Available. Don’t hide your instruments in their cases - keep them out and nearby so that you can play easily when you get the urge. Play for Fun. Don’t forget the reason you began playing! 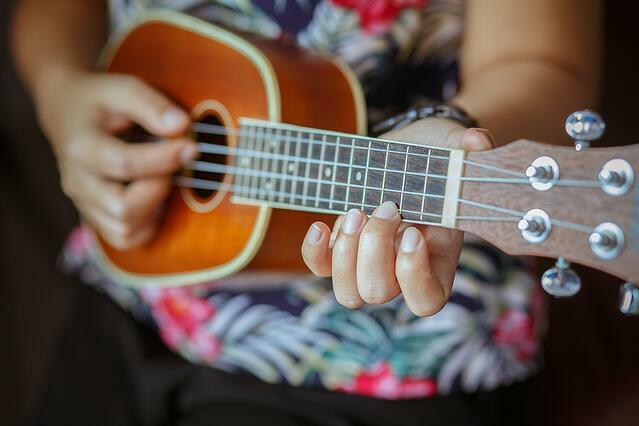 While practicing for a certain song can be hard, playing music should still be exciting for you. Take a few moments to just play what you want. Practice Outside. Sometimes the atmosphere you are playing in can make all of the difference! Go outside to practice every now and then. Record Yourself. A great way to track your progress is by recording yourself - either with an audio recorder or a video camera. Watch for mistakes and write them down. Be encouraged by any progress! As you begin to learn a new instrument, we hope you have a fun and productive time practicing! What are your favorite tactics for practicing an instrument? Tell us in the comments!